1.) Navigational: when someone is searching for your official site; 2.) Informational: when someone is searching for information to learn about a subject; 3.) Transactional: when someone is looking to buy something, download a file, etc. In navigational search, Google will show the main website of the person or company being searched. For informational search, Google will show the web page with the best, useful information – so having an authoritative information on the site will work well. Then for transactional search, Google gives priority to reliable, credible vendors – so affiliate sites are not first priority. In traditional SEO, it was mainly about getting to the top of the search engines. And it was understandable at that time – because it was the easiest way to measure success. But there was a problem to this approach: there was no business strategy behind it. And what made it more complicated during that time was that there was no analytics software. So most marketers were blind as to what keywords their visitors used to get to their websites. And perhaps worsening the situation then was Google’s general directive to “build better pages.” This didn’t help much – but just created more confusion for many website owners. Let us now move on to the present time – the birth of modern SEO. Analytics software is already available. Web owners can track which keywords bring visitors to their sites. They can monitor which sites send targeted traffic, and check which pages are converting well. Now, the context of SEO don’t just mean being number 1 in search engines. There is now talk about conversions – turning visitors to buyers. Sales. Profits. These can be measured with the help of analytics. 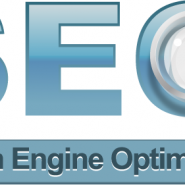 So now, web owners have a business strategy behind their SEO efforts. This is modern search engine optimization – going beyond the aim for just getting to the top of Google, but measuring as well what could be more important for anyone’s web business– and that is Conversions because that is where money comes in.